This CV uses a rigorous presentation to ensure a professionalism overview of the candidate's background! CV template to download "Firm"
The Firm Resume perfectly presents all your information with its professional and modern design! 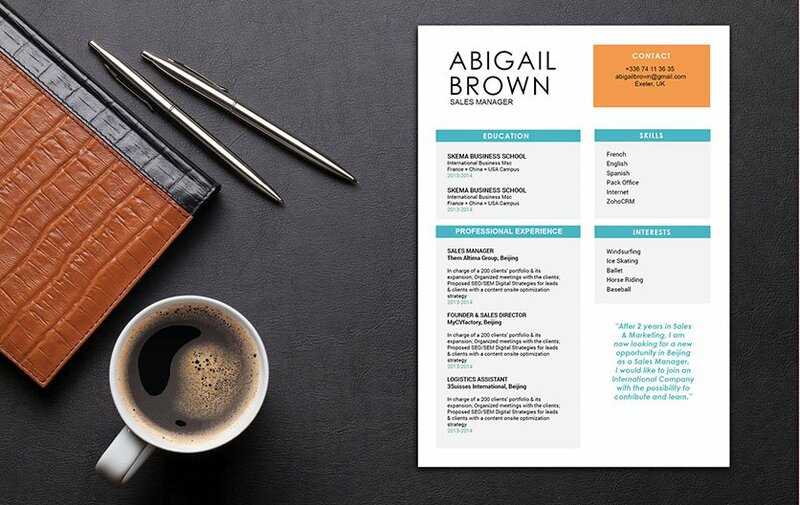 This modern resume template features a perfect selection of colors, shapes and texts that work well with each other to conceive an eye-catching resume design. With this resume's comprehensive layout you will do well in applying for any job type as all the pertinent information are clearly written for your potential employer, which will surely be impressed! How can you create a more attractive CV? That's simple! All you need is an effective and comprehensive resume design. To create such a resume, use professional looking fonts such as Seriff or Sans Seriff, select a font size between 11 and 12, and selectively apply italic/bold font styles to help guide the recruiter's eyes along your resume. Make good use of bullets to highlight the key phrases in your resume that need emphasis. 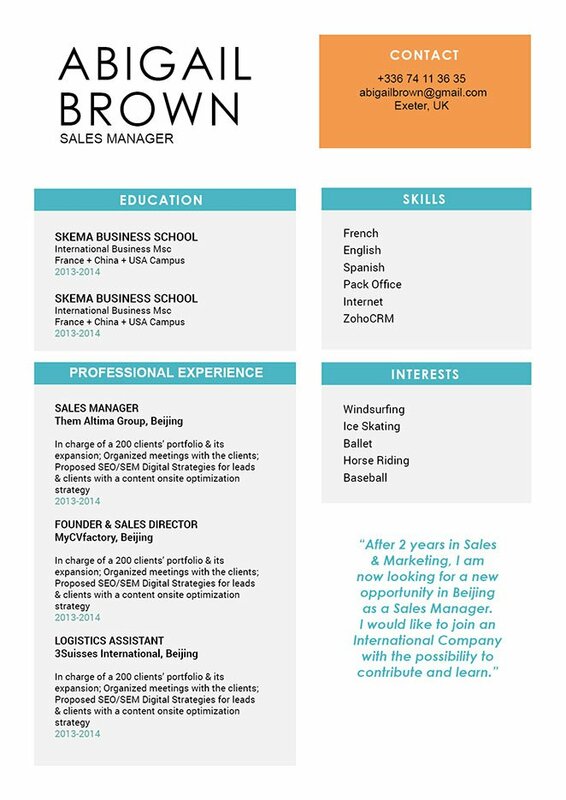 And finally, make sure to give your resume a logical format by using wide-margins, headings, and subheadings.